Sadly, the act of stripping away the poetry of perfuming and pumping formulas full of synthetic ingredients is par for the course. Most companies approach scent from the angle of sales analytics and predictive marketing tactics, rather than bolstering perfuming as an act of storytelling. 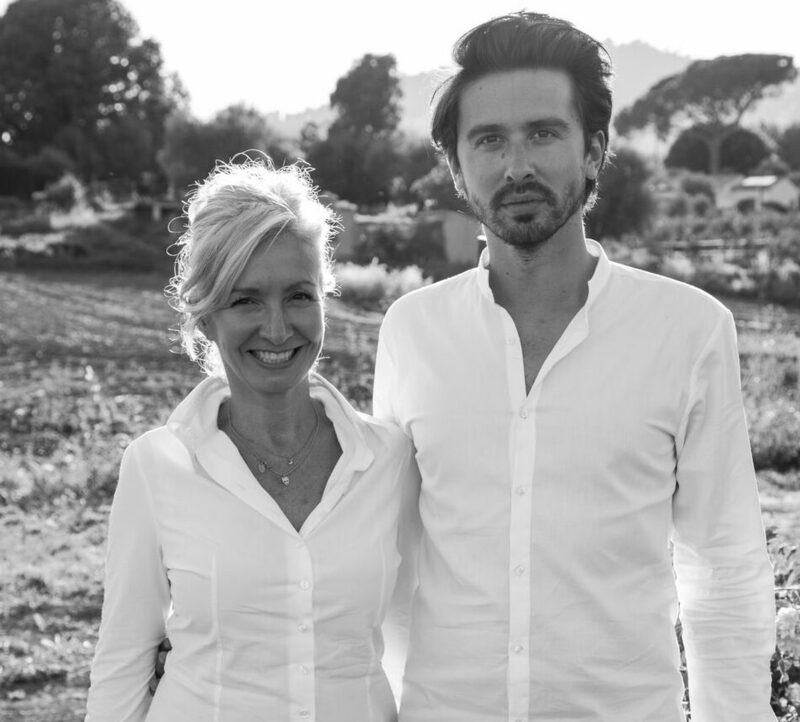 This is precisely why the mother-and-son duo, Marie-Lise Jonak and Baptiste Bouygues, wanted to go their own way when launching Ormaie Paris. The name itself, Ormaie, is French for a grove of elm trees. All seven of the perfumes are unisex and completely natural (non-synthetic). The founders got the idea to collaborate when Bouygues, who has worked for Louis Vuitton and Givenchy, decided to take the leap to create a luxury fragrance. Since Jonak had already worked as a veteran fragrance consultant for years, the collaboration felt both natural and inevitable. The family collaboration started back in 2016, and the past two years have been spent figuring out how to marry a sustainable business model to the romance of luxury perfume. Through persistence, Bouygues was able to find a handful of perfumers who specialize in working with raw ingredients. They were also able to enlist the only glassmaker in France who recycles their magma to design different sculptural bottles for each fragrance. The tops of the bottles are hand-carved out of beech wood sourced from renewable forests in France, and the labels are printed in gold at the fine art shop, Imprimerie du Marais. Even the manifesto for the brand comes in the shape of a poem written by the photographer and writer Guillaume De Sardes. This attention to detail is very intentional—Bouygues and Jonak set out to create perfume that is also an art object, a sculpture you can keep long after the smell is emptied and faded. While the creation process feels imaginative in itself, it’s the titles of each fragrance that dig in to tell a story. Les Passant, which means “the passerby” is a scent inspired by the sensation of passing a mysterious attractive person on the street: someone who smells good and gives off a romantic vibe. The lavender-based formula was inspired by a cologne Jonak’s husband, Bouygues’s late father, wore for years. Similarly, the scent Yvonne is named after Jonak’s mother, the matriarch of the family, and while all the perfumes are meant to be unisex, Yvonne gives the wearer a distinctly feminine fragrance full of roses and chypres. HelloGiggles spoke with Baptiste Bouygues in order to get a deeper sense of the stories behind Ormaie Paris, the process of perfuming, and how different artists inspired the fragrances. 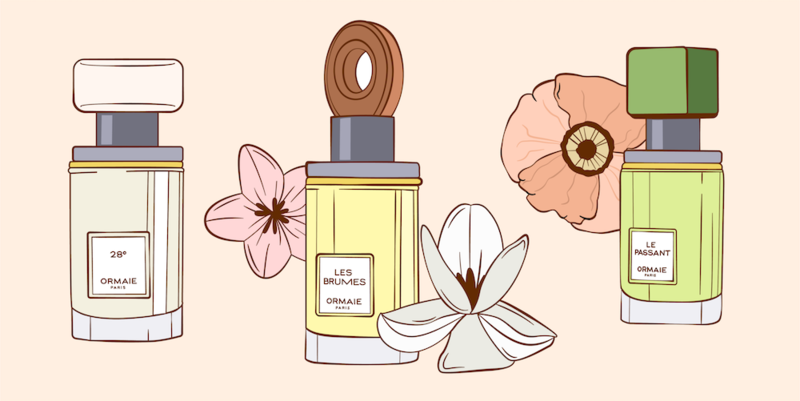 HelloGiggles: What is one of your first memories of scent? Did you have a favorite smell as a child? Baptiste Bouygues: It’s probably the smell of rain in summer. When the drops of water hit the dry floor, there is a very peculiar smell that everyone knows and that I find very soothing. This smell actually has a beautiful name: petrichor. It is a very interesting scent that humans perceive very quickly, even if there is a very small quantity. It probably dates back to times when humans needed to know in periods of drought where they could find water. HG: What first drew you to become a perfumer? BB: There is something special about smell. It is a direct access to memory and emotion. Scents are unbelievable; they make you travel in space and time; they make you love a person, and at the same time, it is a very primitive idea. HG: Has a movie or piece of music or art ever inspired any of your fragrances? BB: Of course, all forms of art dialogue with one another. When we made L’lvrée Bleue, for example, that is a very narcotic scent reminiscent of exotic forests. It is hard not to think of the painting of Gauguin, or of the Douanier Rousseau, or of books such as The Heart of Darkness. I think the pieces of art that touched us throughout our lives have definitely inspired us, and you can find hints of them in everything we do: the scents, the bottles, the texts we write…all of it. HG: How does being a family affect the business model of Ormaie Paris? BB: A family business allows for a common vision to be shared. It allows us to put creativity first and to make no concessions on the quality and the beauty of the product. It also allows us to build very special relationships with craftsmen and artists and to take our time. BB: There is definitely an artistic process in what we do. We put a lot of our emotions into the things we create, and a lot of the process is very personal. We try to translate these emotions into beautiful scents, bottles, even pictures. I think all people who create draw inspiration from their lives and have a need to translate those emotions into something tangible. It is a very beautiful compliment to say it is a similar process to poetry because it starts with an emotion—a need to create—and only takes shape through a lot of iterations and a lot of work. Some poets can work endless hours on one sentence and that is an approach we definitely can relate to closely. HG: What emotions do you hope Ormaie Paris fragrances will evoke? It was important for us to make something happy, inspiring and something that would bring joy to people when it came to the bottle. It is very complex to have a beautiful object full of craftsmanship that makes people happy. After, what is so special about smell, is that it will take you back to a very personal place. I was having coffee yesterday with an artist and when she smelled 28° , it brought her back to her summer holidays as a kid next to the lakes, and you could see in her eyes that she left for just a second. That is a beautiful feeling. HG: What is a current scent you wear near daily? BB: I alternate between Les Brumes and Le Passant. I love the citrus and the woods of Les Brumes; it’s the idea of the mist on a citrus field. Le Passant was very difficult to make; it was a very important memory for us. We wanted a very elegant lavender that was soft, with vanilla. I love wearing it.